BERLIN - In a year marking the 70th anniversary of its founding, the People’s Republic of China appears to have entered a new era of uncertainty after more than a quarter century of phenomenal economic growth. 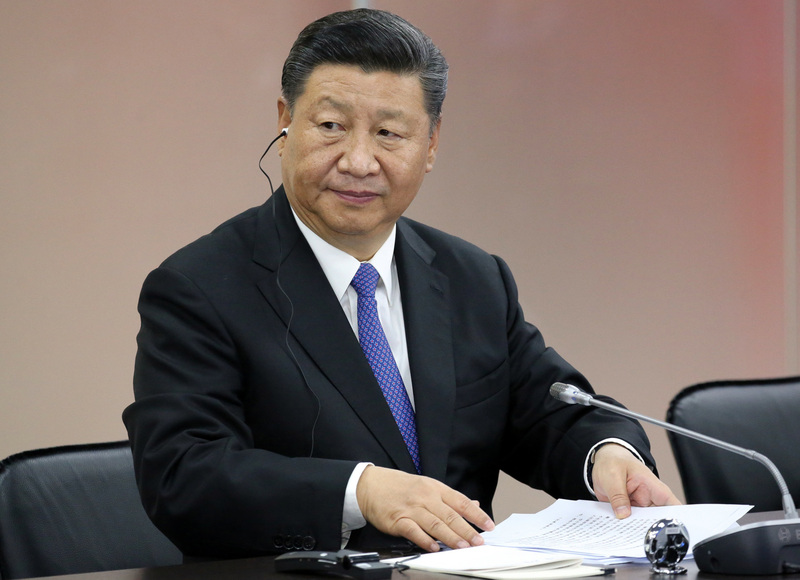 China’s slowing economy, an international geopolitical pushback against its overweening ambitions, new trade disruptions and tariffs, and President Xi Jinping’s centralization of power, have created a jittery mood among the country’s elites. This year also marks the 30th anniversary of the Tiananmen massacre. At least 10,000 people were killed in the tank and machine-gun assault ordered by Deng Xiaoping and his henchmen on pro-democracy demonstrators at Beijing’s Tiananmen Square. The massacre happened because the Communist Party never abandoned its heavy reliance on raw power since the blood-soaked Mao Zedong era, during which tens of millions of Chinese died in the so-called Great Leap Forward, Cultural Revolution and other state-induced disasters. Although China has come a long way since Tiananmen, with its citizens now more prosperous, mobile and digitally connected, the political system remains as repressive as ever. Indeed, today’s China is increasingly oriented to the primacy of a party responsible for the past pogroms and witch hunts and ongoing excesses. 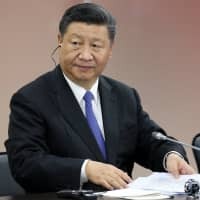 Under Xi, the party has set out to systematically decimate Muslim, Tibetan and Mongol identities, expand China’s frontiers far out into international waters and turn the country into a digital totalitarian state. The Soviet Communist Party that operated gulags was consigned to the dustbin of history. But now the Chinese Communist Party, running the world’s longest surviving and most powerful autocracy, has set up gulags that are far more high-tech and indiscriminate, with Islam as the target. In modern-day “re-education” prisons, China is forcing ethnic Uighurs and other Muslim groups to forsake Islamic practices and become secular citizens. China’s concentration camps holding more than a million Muslims are designed to deprogram Islamic identities and change the outlook of entire communities — a mission of unparalleled scale. Meanwhile, by China’s own statistics, its economy has registered the weakest pace of growth in nearly three decades. The world’s second-largest economy grew 6.6 percent in 2018, the lowest since 1990’s 3.9 percent in the aftermath of the Tiananmen massacre. Add to this picture a new phenomenon — the flight of capital from a country that, between 1994 and 2014, amassed a mounting pile of foreign exchange reserves by enjoying a surplus in its overall balance of payments. Now faced with an unstoppable trend of net capital outflows, Xi’s government has tightened exchange controls and other capital restrictions to prop up the country’s fragile financial system and the sagging currency. The regime has used tens of billions of dollars in recent months alone to bolster the yuan’s international value. Not just capital is fleeing China but even wealthy Chinese choose to live overseas. In a vote of no confidence in the Chinese system, more than a third of surveyed millionaires in China said they were “currently considering” migrating to another country. An earlier report found that almost two-thirds of rich Chinese were either emigrating or have plans to do so. Today, China’s internal challenges are being compounded by new external factors. Chinese belligerence and propaganda, for example, have spawned a growing international image problem for the country. More significantly, China has come under international pressure on several fronts — from its trade, investment and lending policies to its human rights record, including its incarceration of Muslims from Xinjiang, a sprawling territory that Mao annexed in 1949. Such pressure suggests that China’s free ride, which helped propel its rise, is ending. U.S.-led pressure on trade and geopolitical fronts has accentuated Beijing’s dilemmas and fueled uncertainty in China. As long as the U.S.-China trade war rages, flight of capital will remain a problem for Beijing, whose foreign exchange reserves have shrunk by about $1 trillion from their peak of just over $4 trillion in mid-2014. At a time when China’s imperial project, the “Belt and Road” initiative, is running into resistance from a growing number of partner countries, Beijing is also confronting an international pushback against its telecommunications giant Huawei. In fact, the pushback has broadened from opposition to Huawei’s participation in the next-generation 5G wireless networks to a broader effort in Europe, North America and Australia to restrict the use of Chinese technology because of concerns that it is being used for espionage. Meanwhile, China is alienating its neighbors by throwing its weight around too aggressively. This trend is likely to accelerate with the newly restructured People’s Liberation Army becoming less of an army and more of a power projection force, the majority of whose troops now are not from the army but from the other services, including the navy, air force, rocket force and the cyberwarfare-oriented strategic support force. Indeed, the PLA’s shift away from being a defensive force foreshadows a more aggressive Chinese military approach of the kind already witnessed in the South China Sea, where China has fundamentally changed the status quo in its favor. The Dalai Lama recently said that due to Chinese pressure, no Buddhist country, with the sole exception of the nominally Buddhist Japan, is now willing to grant entry to the exiled leader of Tibetan Buddhism who lives in India. However, whenever Chinese pressure forces smaller nations to cave in on any issue, it only fuels greater resentment against China. More fundamentally, it is China’s open disregard of international rules and its penchant for bullying that explain why it essentially remains a friendless power lacking any true seafaring strategic allies or reliable security partners. It has also alienated almost every significant power in the Indo-Pacific region and beyond. Contrast this with the strong global network of allies and partners the United States maintains, including close collaboration with regional powers. Looking ahead, Xi’s primary focus will likely remain on ensuring stability at home. Without stability, neither he nor the party can hope to survive in power. To calm the economic turbulence, China’s central bank has substantially increased domestic credit to offset capital outflows and to help boost consumption and investment at home. In the medium-term, the U.S.-led tariff pressures are likely to accelerate its shift from low-end manufacturing to higher value-added industries like electronics, automobiles, robotics and artificial intelligence. The geopolitical pushback, for its part, could force Xi to return to Deng’s “hide your capacities, bide your time” strategy. But such a return can scarcely obscure China’s ambitious goals that Xi has laid bare. Even if Beijing starts soft-pedaling its ambitions, it is likely to adopt a “two steps forward, one step back” strategy to keep progressing toward its goals.